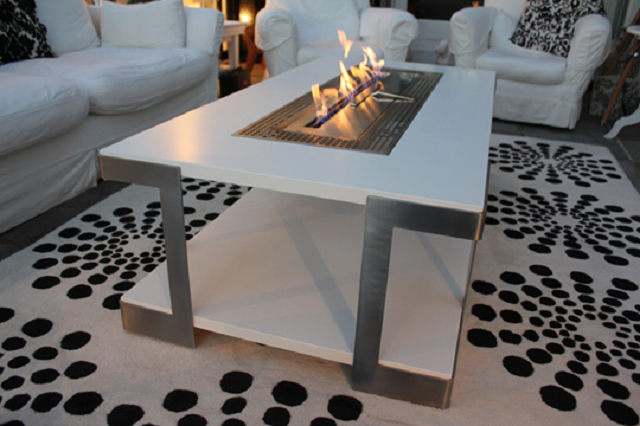 A wonderful white Corian and brushed stainless steel fire table for a delightful orangery. 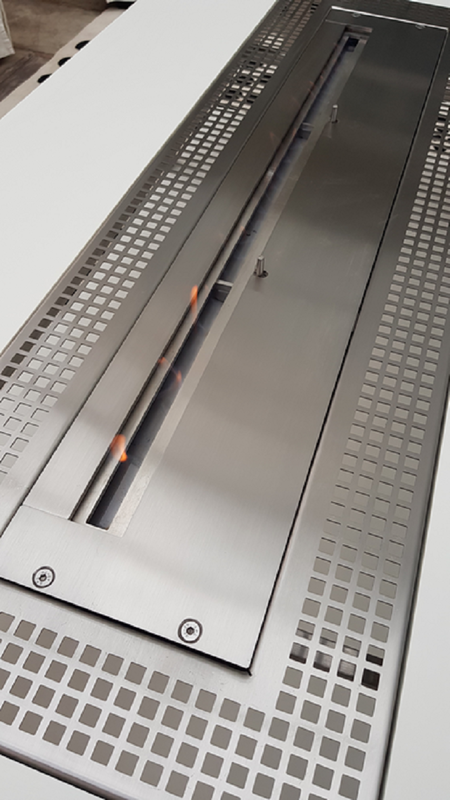 The central Bio Ethanol fire burner was bought in but all surrounding metalwork including the grill was designed by us as part of this fire table. 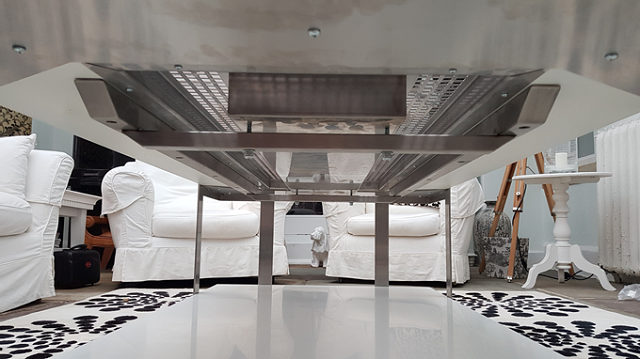 The substructure of the table is as high quality as the main parts of the table. 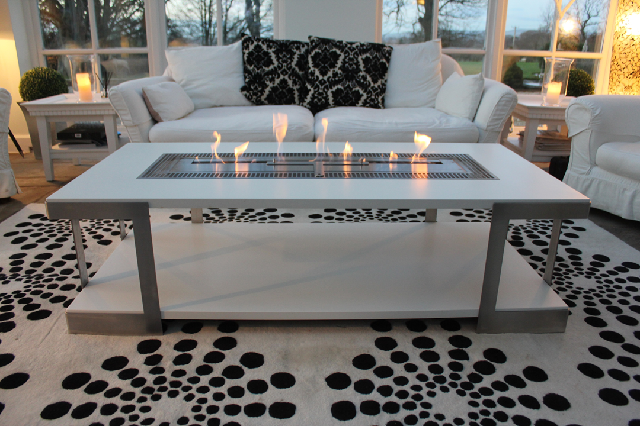 The table is a fantastic addition to the orangery creating a focal point, a talking point and also giving out 6kW of heat to make the space more cosy in the winter months. 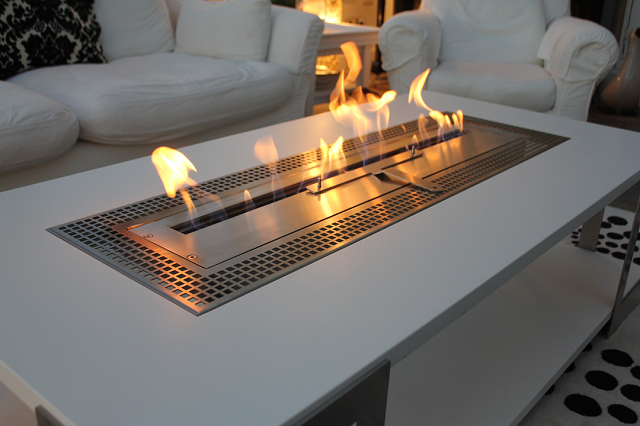 A benefit of Bio Ethanol fires is they do not need expensive things like flues or plumbed in gas pipes and also they create no messy ashes.